This new edited volume examines contemporary European security from three different standpoints. 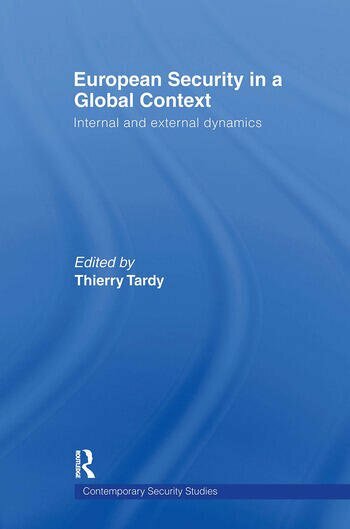 It explores security dynamics, first, within Europe; second, the interaction patterns between Europe and other parts of the world (the United States, Africa, the Middle East, China and India); and, finally, the external perceptions of European security. The first part of the book analyses the European security landscape. The roles of EU, NATO and the OSCE are given particular attention, as is the impact of their evolution- or enlargement- on the European security architecture and European security dynamics. In this context, Russia’s repositioning as a major power appears as a shaping factor of contemporary European geopolitics. The second part presents European security from an external perspective and considers interactions between Europe and other states or regions. Security trends and actors in Europe are examined from an American, Chinese, and Indian perspective, while Europe--Africa and Europe--Middle East relations are also addressed. This book will be of great interest to students of European Security, European politics and IR in general. Thierry Tardy is Director of the European Training Course in Security Policy at the Geneva Centre for Security Policy.